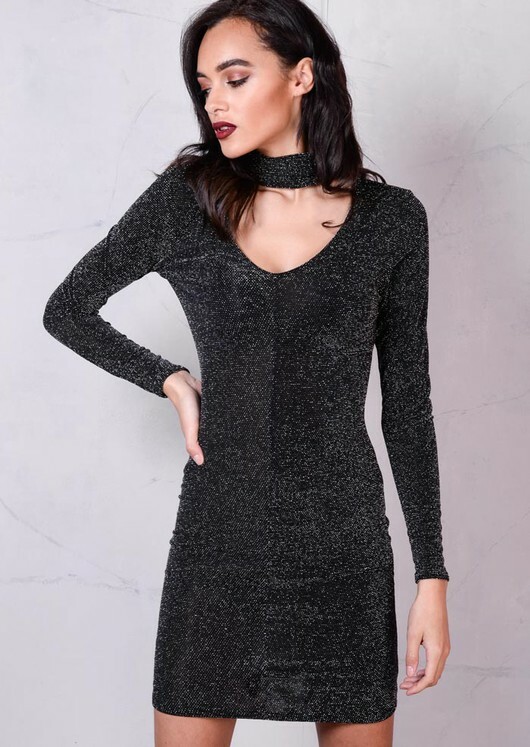 All attention will be on you in this long sleeved bodycon choker dress. In stretch finish, this dress is so comfortable and figure hugging. The glittery dot details really elevate this black dress as well as creating a feminine look. Team this dress with a pair of heels and statement earrings to complete the look.